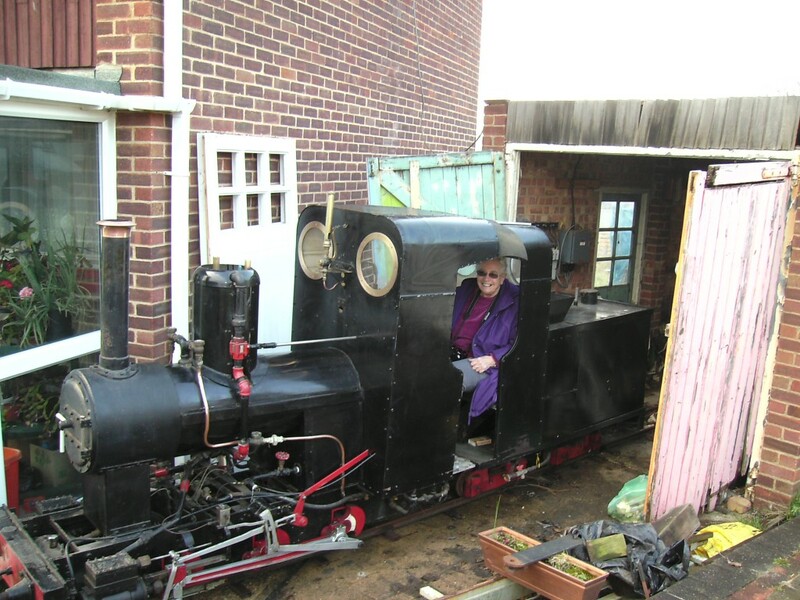 In March and April 1998 we carried out trials at Basildon Miniature Railway pulling just one coach full of friends and family and making adjustments where needed, after that we had four coaches with 48 passengers and it performed very well. 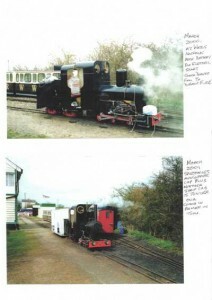 In March 2001 we returned to Wells on three occasions and we were very pleased with the way it performed. Cylinders 3.3/4″ bore by 7″ stroke, Outside motion Walschearts Valve Gear, Slide Valves and Screw Reverse. 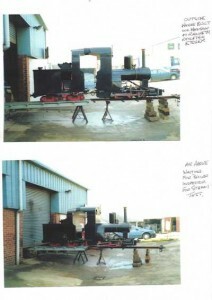 It has a 14″ boiler with 28 x 3/4″ bore tubes with a wide firebox. There are two gauge glasses and two injectors. 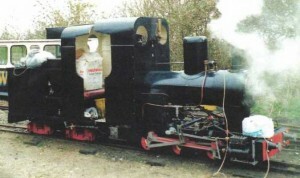 A screw down brake is fitted to the loco wheels. 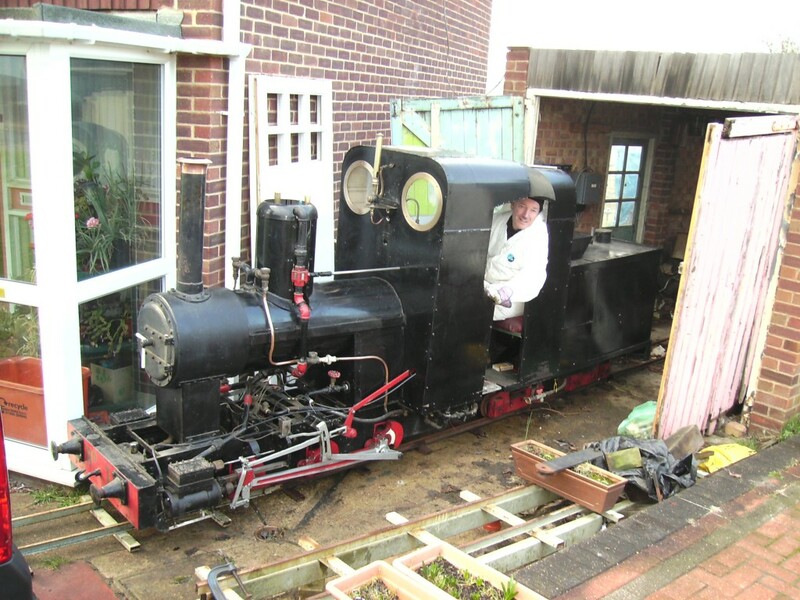 The boiler when full for test holds 23 gallons and around 15 gallons for working. 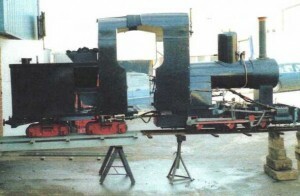 The boiler is of very substantial construction and is fully welded steel boiler plate. National Vulcan Ins Co, now part of the Royal and Sun Alliance Group. Sorry about the quality of the photos below, there were scanned from a photo copy by the owner.